Gorgonzola is a classic cheese from northern Italy. 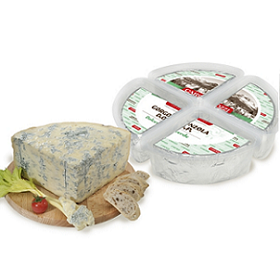 This cheese has a dry texture with marked veins, the flavor is strong and distinctive. Wonderful on its own or to create classic dishes - from crumbling onto vegetables to creamy sauces.